Dr. Sona Andrews will be conducting a day-long workshop covering the strategic doing model. Attendees of the workshop will include the Strategic Planning Committee, Senior Cabinet, Academic Deans, and the Faculty Senate President and President-Elect. The workshop will be held on Tuesday, March 12. Upon conclusion of the workshop, the Northern community is invited to attend a campus information session in the Missouri River Room from 4 to 4:30 p.m.
NSU CEC will be participating in Spread the Word-Inclusion on March 12 from 11 a.m. to 1 p.m. in the Student Center. All students are encouraged to stop by to sign the banner and pick up an inclusion bracelet. For the past 11 years, Spread the Word to End the Word has started the conversation on respect, gathering over 1 million pledges to end the r-word. We have made progress toward ending the derogatory use of this word, but we have a long way to go in ending all types of discrimination for individuals with intellectual disabilities. Because of this, we are expanding our message to our youth and asking them to Spread the Word- Inclusion. The goal of this Special Olympics initiative is to educate all constituents regarding the skills, abilities and talents of people with intellectual disabilities, and to promote the inclusion and acceptance for all. Williams Library’s South Dakota Germans from Russia Center will play host to author Rebecca Bender as she offers a reading of her new book, titled “Still,” March 12 at 7 p.m. “Still” is a nonfiction memoir/biography celebrating the Dakotas and the Russian and Romanian homesteaders who settled in the Dakotas in the early 1900s. This event is free and open to the public. Refreshments will be provided. For more information, please contact Dr. Robert Russell, NSU Williams Library director, at Robert.russell@northern.edu. Grab your friends and join Project Pengyou for some much-needed stress relieving on Tuesday, March 12, at 7:30 p.m. in the Missouri River Room! Guided meditation, snacks and coloring pages are all available to students to prepare themselves for the last couple of months of the semester. About 225 middle and high school students from South Dakota and North Dakota will be on the Northern State University campus on March 13 for the National History Day regional competition. Students will present research projects as part of the competition, which will run from 8 a.m. to noon in the NSU Student Center and Williams Library. 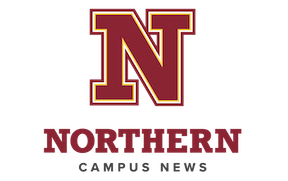 This year’s theme is “Triumph and Tragedy.” For more information, contact Ric.Dias@northern.edu or Dave.Grettler@northern.edu. The next NSU Noon Forum will take place at noon Wednesday, March 13, with “Five Essential Stand-Up Comics.” The session, which will take place in the NSU Williams Library Round Room, will be led by Dr. Liz Sills. Noon forums are open to all who are interested – students, staff and the public. For more information, contact Dr. Art Marmorstein at 605-626-2608 or Art.Marmorstein@northern.edu. Drs. Pen Pearson and Lysbeth Benkert of the NSU English department will offer readings of their published and unpublished works at 5 p.m. Thursday, March 14, in the Williams Library Round Room. Pearson’s publications include two books of poetry, titled “Trespass to Chattel” and “Poetry as Liturgy,” as well as a forthcoming novel, titled “Bloomsbury’s Late Rose,” which will be published in September by Chickadee Prince Books. Benkert’s publications include her first chapbook, titled “#girl stuff,” which was published in 2018 by Dancing Girl Press. “A Writer Reads” events are sponsored by funding from the South Dakota Humanities Council. For more information, contact Pearson at Pen.Pearson@northern.edu. NSU jazz ensembles will offer an evening of “Sweet Jazz” at 7:30 p.m. March 14 in the Johnson Fine Arts Center’s Jewett Theater. Ensembles performing at the concert include the 2 O’Clock Jazz Ensemble, directed by Dr. Grant Manhart, NSU professor of music; and the NSU Jazz Combo 1 and 2, directed by Mr. Fritz Hemke, NSU assistant professor of music. Free dessert, coffee and hot cider will be offered in the JFAC lobby following the performance. Admission is $5 for adults, $2.50 for NSU faculty/staff, and free for school-aged children or NSU students with ID. For ticket information, please call 605-626-2900. The men's basketball team will head to the NCAA Central Region Tournament for the second straight season. The Wolves earned the No. 2 seed and will face off against No. 7 Southeastern Oklahoma at 2:30 p.m. Saturday, March 16. Tickets can be purchased online HERE, or click HERE for more information. Students and faculty: Mark your calendars for the 2019 Research, Scholarship and Creativity Forum! This year’s forum will be held on assessment day, March 19. The forum is the best way to showcase student work on campus. Whether you are a business student doing research for a class project, a pre-med student researching genetics, or an art major assembling an display of personal work, you are invited to participate. Whatever independent scholarship you are doing, we want showcase it. To apply, fill out the application form by visiting myNSU and navigating to “Academics,” “Undergraduate Research,” and clicking on “Forum Application” in the documents section. For more information, email NSU’s undergraduate research coordinator at andrew.russell@northern.edu. This year’s Women’ History Month event, “Women in Sports,” will take place Wednesday, March 21, from 11 a.m. to noon in the NSU Student Center Centennial Rooms. Keynote speakers will be NSU Women’s Head Basketball Coach Paula Krueger and Coordinator of Athletic Business Operations Hillary Goff. The fifth annual Lamont-Rhodes Lecture will be held in the Northern State University Johnson Fine Arts Center on Tuesday, March 26. The event begins with a breakfast buffet at 7:30 a.m., with the presentation at 8:30 a.m. This year’s speaker is Anna Richards of Cornell University, who will deliver a talk on agricultural succession planning. Tickets for the March 26 event are $20 per person or $125 for a group of eight. Register online or RSVP to the NSU Foundation at 605-626-2550 or nsualumni@northern.edu. The Aberdeen Area & NSU Employment Expo and Job Fair is slated for Wednesday, March 27, in the Barnett Center from 11 a.m. to 5 p.m. The event is sponsored by NSU Career Services, S.D. Department of Labor and the American News, and is open to all NSU students and community members. Currently, there are 48 organizations registered seeking candidates for full-time and part-time employment, internships, and seasonal work. Even if students are not actively seeking employment, it’s a wonderful idea to attend, network with professionals, and learn more about different industries. Students may view attending employers by logging into their Wolf Work accounts, or by heading to this direct link. Additional information may be found at aberdeennews.com/jobfair or in the Career Center, Student Center 207. NSU is working with Safe Harbor, United Way and Red Rooster to present “A Night of Art and Poetry.” The event will once again collaborate Northern student poets with student designers to create works of art that will be sold to raise money for Safe Harbor. “A Night of Art and Poetry” will be held at 6:30 p.m. Wednesday, April 17, at the Red Rooster Coffee House, 218 S. Main St. The event, which is free and open to the public, honors National Poetry Month, Child Abuse Prevention Month and Sexual Assault Awareness Month. Attention business and fine arts majors: Student Government Association is looking to fill the empty Business and Fine Arts senator seats! If you are interested, come to our next meeting – they are held in the Missouri River Room at 9 p.m. every Tuesday! Please contact Shanae Doerr or Tyler Harris for more information. Virginia-based artist Alicia Dietz will be exhibiting her artwork in the JFAC gallery through March 29. Dietz is a former Blackhawk Helicopter Maintenance Test Pilot who, in her 10-year career, served in Iraq and has been stationed all over the world. She has since traded in her helmet for wood working tools and builds sculpture that draws its influence from her military experiences. Looking for an opportunity to serve your campus community while being paid? Here is your opportunity to become involved. Campus Safety is looking for students who are interested in being a part of Wolves Watch. The primary purpose of Wolves Watch is to meet fellow students anywhere on campus and walk with them to ensure safe arrival at their destination (library, parking lot, residence hall, etc.). Trained members will also be eligible to work as additional security for large university events. Sign up online using the Wolves Watch Application. Registration is now open for the Wolves Triathlon, hosted by the Northern State Swim Team. The date of the event is April 14. For more information and to register, visit the Wolves Triathlon webpage. NSU Communications and Marketing orders name tags for employees once a month. To request a name tag for the next campus-wide order, fill out this online form. It’s not too late to join the spring semester Chinese painting and ping-pong workshops every Tuesday at NSU! Landscape painting by Ms. Yaqian Wang is at 1 p.m. in the NSU Student Center. Ping-pong by Mr. Lihe Liu is at 3 p.m. at the Dacotah Hall gym. No registration is needed! For more information on all of our programs, please follow the NSU Confucius Institute on Facebook.